The fresh smooth aroma is accented by tropical florals, the body is rich in citrus and pear notes followed by citrus and fresh sugar cane juice in the finish. Coeur de Canne is the heart of the sugar cane juice spirit distilled in a copper, single-column still, then rested and bottled at the distillery. More information at the Ministry of Rum website. Much of the sugar cane processed here is grown on the estate, but La Favorite also buys sugar cane from local farmers who have grown sugar cane for generations. After harvesting in the field all of the cane is unloaded here, weighed, crushed and the juice put into the stainless steel fermentation tanks. 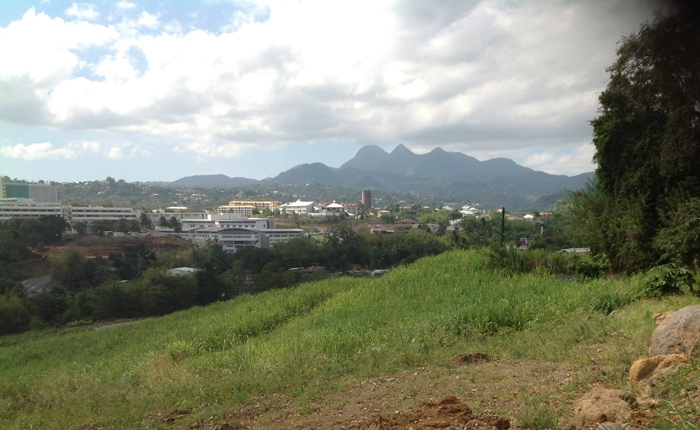 The massive cane mills at La Favorite are some of the largest and oldest on Martinique. 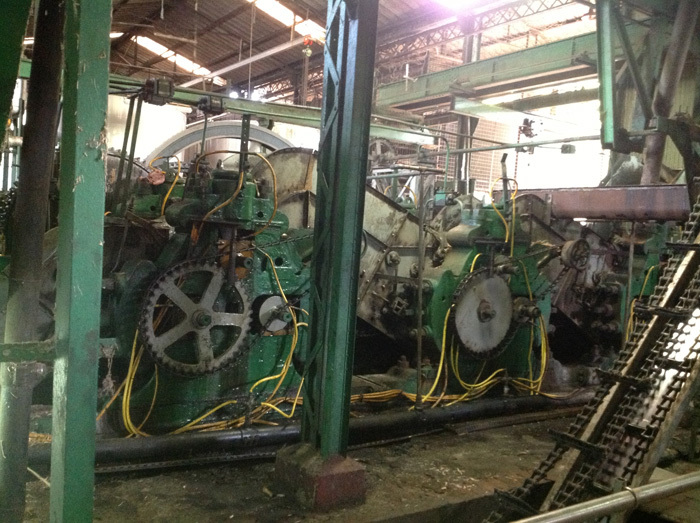 After the rhum season, Jan - June, workers are busy repairing the rollers that crush the cane, replacing bearings and other maintenance required to get this machinery that dates to the early decades of the last century ready for the next cane harvest and rhum season. 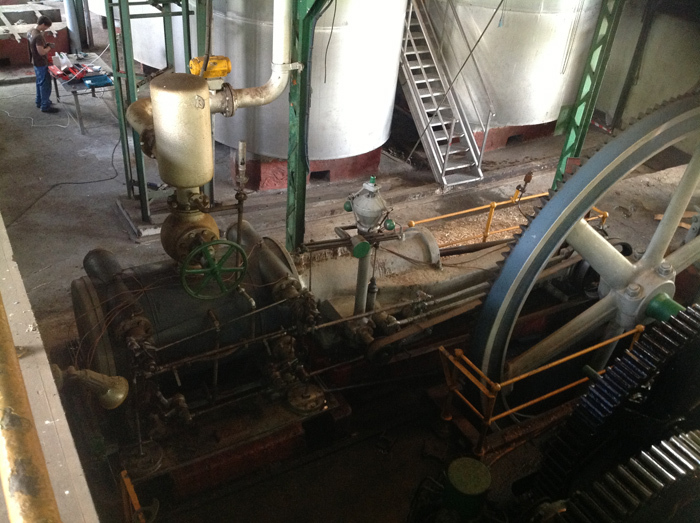 After shredding and crushing the fibrous cane stalks, the resulting straw-like fiber fuels the boiler that generates steam for the steam engine that powers the cane mills, pumps and conveyers as well as steam for distillation. 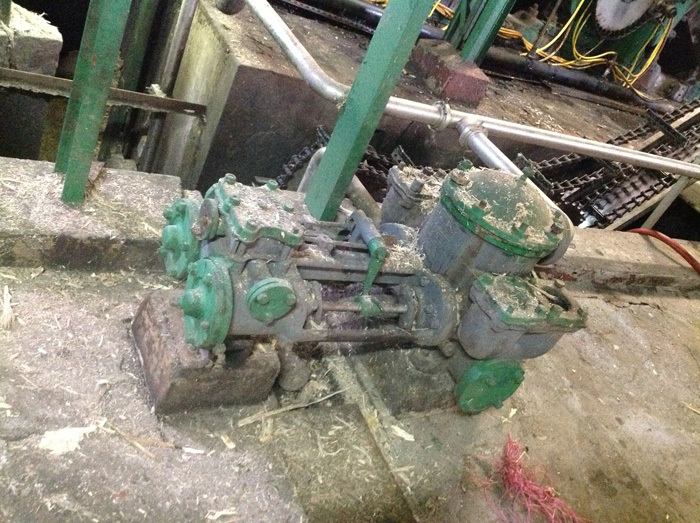 This steam-powered pump moves the fresh juice from the sump under the cane mills to the fermentation tanks. La Favorite ferments the fresh juice for three days using commercial yeast. After fermentation the vesou is distilled in the columns below. 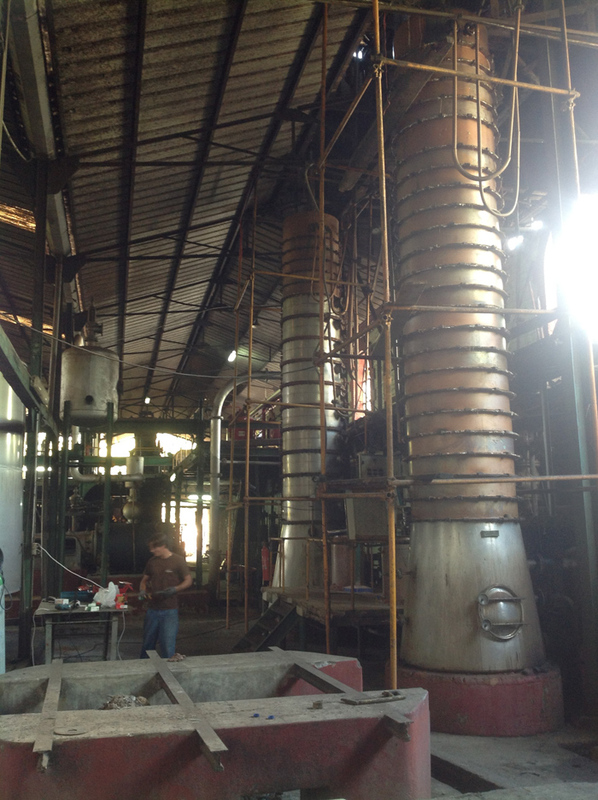 There are two column stills at La Favorite, the oldest is all copper construction. 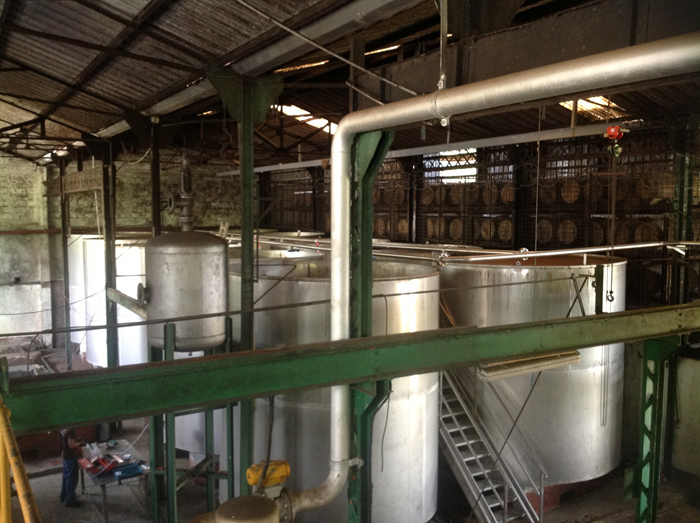 The other is stainless steel in the lower part of the still and copper in the upper sections. The clear distillate is distilled to about 72% ABV as is the standard for Martinique AOC rhum agricole. Other products from La Favorite imported by Caribbean Spirits Inc.